In the Metroid games, Samus can get a suit known as the “Varia Suit”. It usually provides extra defense and lets her explore high-temperature areas. 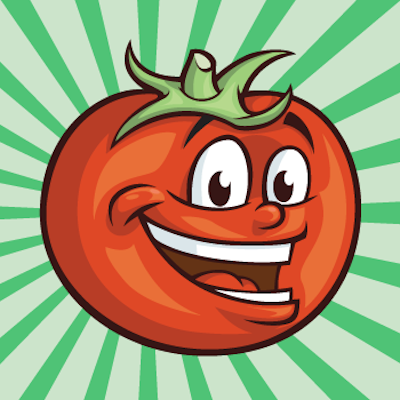 It’s been a staple of the games since the very first game, even. What you might not know is that the name “Varia” is actually a mistranslation of the word “Barrier”. In the very first Metroid game, the English instructions call it “Varia”. Looking at the Japanese instructions, we see that it’s spelled バリア, or “baria”. The word is used in actual, real-life Japanese too, so it’s not some entirely crazy word for Japanese players. But because going between Japanese and English and back can cause problems, when the name was translated back into English the translators must’ve thought it was just some made-up word and went with “Varia”, which is a completely understandable choice to make. It just wasn’t what the creators originally intended. Anyway, I’m glad Nintendo never felt the need to go back and fix that like they did with things like Princess Toadstool/Princess Peach – in my mind “Varia Suit” does sound cooler and more sci-fi than generic old “Barrier Suit”. If you found this article interesting or helpful and know any fellow Metroid fans, consider linking them to this article. It's a great way to help support Legends of Localization! 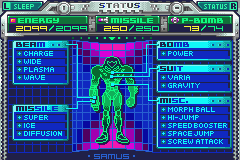 Also interesting that the varia suit description directly calls Samus “he”! Yeah, I thought that was either a cool misdirection by the translators or possibly a genuine lack of knowledge that Samus is a girl. I assume the former but the latter is possible too, given some of the strangeness in Zelda’s manual translation. I’m not positive, but I thought the manual uses he all over the place. I think it is supposed to be a misdirection thing. But reading this site makes me realize that it is entirely possible that the manual people had no clue. My understanding is that the manual was intentionally obfuscating, since it’s supposed to be a big surprise at the end of the game when you find out Samus is a woman. Also: check-plus on your screen name. 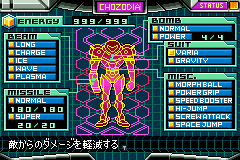 If you want, I can get screenshots of the Varia Suit in Metroid Fusion and Zero Mission. I would do Metroid Prime also, but I couldn’t do a good screenshot, the best would be a camera photo which owuld probably be really bad. Yeah, if it’s not a lot of trouble that’d be cool! But it’s not important or anything, so don’t go out of your way or anything. I would definitely like to, but I’m not sure how I can take screenshots off of an actual GBA SP. If you know how, let me know, because it would definitely be no problem if I could do that. I have completed game saves on both of those games. Ignore my other comment, I got a couple for you. Took them from walkthroughs on YouTube. Thanks, although I should’ve mentioned that I usually prefer actual in-game screenshots rather than video stills, since video stills have all sorts of artifacts and such. Yeah, I assumed, though getting in-game screenshots would’ve been tough to get considering I don’t have any save files on my computer and would have to play through them manually to get to the Varia Suits. A question: is the name of the Japanese item still the barrier suit, or has Varia made it in print in any Japanese titles? I haven’t played any of them in Japanese except Super Metroid, which is because it has the Japanese text option. But that just adds subtitles to special scenes; everything else is still the same as English Super Metroid. It’s very odd that way, but I recall my old Japanese copy of Super Metroid having had the same option, so in that sense “Varia” probably showed up in Japanese Super Metroid. Super Metroid is strange in that the Japanese cartridge contains the same exact ROM as the American cartridge, probably to save time making different versions. I don’t remember the Japanese original Metroid(on the Disk System) being like this. Emulator screens, both JP versions. The Japanese version of Fusion was actually released after the North American version, and it includes a Gallery mode unlocked after beating the game. I think it also includes extra an difficulty and more ending images. Both of them use the English names when you get the items, with katakana next to them. Sadly, finishing the JP version of Zero Mission will also unlock the NES version of Metroid and not the FDS version. Yes, the Japanese version of Fusion has an extra Easy difficulty with it’s own ending images. These images (and the other Fusion ending images as well as some promo art) get unlocked in a gallery in the NA version of Zero Mission by linking with another game, can’t remember if it was Fusion or Echoes, also don’t remember if said gallery was in the Japanese version as well. Wow, I’m actually quite surprised to learn about this! I agree though, the Varia name is stuck in my head now, and I wouldn’t have it any other way, mistranslated or not. But still, very cool to know what the original intention was. Everything makes THAT much more sense now. I always thought that “varia” was a shortened version of “varia(ble temperature)”… the more you know! Ah, your first metroid was Super,then? It wasn’t until Super Metroid that extra heat protection became a thing that Samus needed. The Varia originally just halved all damage and was completely optional, as were most powerups in the first game. If I’m not mistaken, morph ball, bombs, and some missiles are the only things you actually NEED(ignoring the door glitch). Though if you value your sanity, you’ll also grab the long beam, a few e-tanks, probably the high-jump boots, and make sure to snag an ice beam before Tourian. The varia, incidentally, is very easy to miss if you don’t have a walkthrough. The old “v” and “b” mixup eh? I was stunned for a second when I originally found this out. It’s the easiest thing ever, how did they get “Varia” from “Barrier”?! But I never batted an eye at Varia because it’s kind of a cool word. 1. Were you Stone Cold Stunned? 2. “V” and “B” are interchangeable in Japanese. Thus, “baria” (barrier) = “varia”. Yeah, it’s like how Viewtiful Joe’s Japanese title is ビューティフル ジョー (byuutifuru joo). Except that wasn’t a mistranslation. I think. Although sometimes you may see ヴァ、ヴィ、ヴ、ヴェ、ヴォ (va, vi, vu, ve, vo) instead of バ、ビ、ブ、ベ、ボ (ba, bi, bu, be, bo) sometimes. Double post, but I also think バリアー is probably more common than バリア for “barrier”. I always though “Varia” came from “variable”, since the most prominent feature of the Varia suit (in the Prime games, at least) is its modular nature, being able to implement all the various add-ons and modifications that you find throughout the game. I don’t know if the version string is the suit firmware or hardware identifier, though. Either way, nobody calls it a chozo battle suit. I’m seriously nerding out here. Heh, I remember those Rezbits that glitched out your suit. I never could actually read any of the text that appeared after rebooting. It’s interesting what kind of canonical information one can find in the smallest of places. Further non-english localizations (that started at this time) have ditched “Varia” in favor of other names with this meaning, too. However they have been rather inconsistent with it. But either way, “Varia” does sound like an appropiate Sci-Fi thing name. Late to the party… I knew about this translation error but your article made me finally curious to check out how they handled it in Metroid II – Return of Samus. The in-game message when you obtain the suit-upgrade only says Varia. Just like its sequel on SNES, the game is apparently identical in Japan. But the small amount of text there is, is only available in English in this game, so maybe some Japanese Metroid fans wondered why the suit-upgrade was suddenly called Varia. Would be interesting to know what the Japanese manual says there but I was unable to find any scans or pictures of it. I want to add that the Varia Suit is called ‘Traje Climático’ (Climatic Suit) in every official Spanish translation. Maybe they thought that Varia stood for ‘variable temperature’, like someone said in an earlier comment. – Everything in the German status menu is in English! I wanted to check another Metroid game for the possible German translation of the Varia Suit, but I don’t have my GameCube or Wii here, and the Metroid Fusion status screen is in English in every language. And this may be just my imagination, French and German translations in Nintendo and Square Enix games seem to be way too similar to the English ones, while Spanish and Italian translations are closer to the original Japanese text, but still taking liberties when translating names of stuff like people, monsters, places, etc. 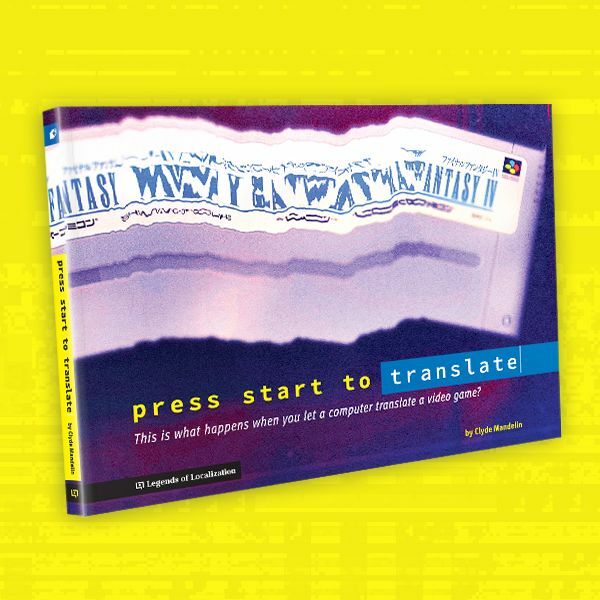 Coincidentally, not many games were translated to Spanish and Italian until the late N64 era. I would love to research about this, but I do not know where to start or how to do it. Apparently in the manual for Metroid II, it is correctly translated as the Barrier Suit. Like most people I assumed “varia” meant “variable.” As in “variable temperature”. Or possibly a variety in the amount of environments Samus can traverse. Surely that must’ve been what the translators for Super Metroid thought at the time. It may only add damage resistance in the first game, but it was given its Super properties in the remake Zero Mission as well as immunity to acid. And in Metroid II it’s actually named “Barrier Suit” and only adds damage resistance, implying it’s not the Varia Suit at all but a different suit entirely. So really it’s like they turned a mistake into a totally different meaning. That’s not correct. 彫像: “Chouzou” can mean “carved statue”, but that’s not what Chozo from the Metroid games means. In the Metroid manual, the Chozo statues were simply known as 像: “zou”: “statue”. In the Metroid 2 manual, they were called 鳥人の像: “choujin no zou”: “birdpeople statue”. In the Super Metroid manual, they were again called 鳥人の像: “choujin no zou”: “birdpeople statue”.